I love this time of year! I believe one of the best parts of the Holidays is the spirit of giving ignited in our hearts. This year, I was hoping you would join me in donating to Kate's Christmas Drive. Kate is a sweet 10 year old girl who was diagnosed with brain cancer 5 years ago. Her story is one that encourages me each day and is filled with bravery, bold prayers and faith. Sweet Kate is still fighting cancer, but her concern for other kids with cancer shows that she has one big heart for one little girl. Through her Christmas Drive, she hopes to help other kids fighting brain cancer by giving their families boxes filled with relevant gift cards. For more details on how you can help click here. It is officially time to cue my nonstop Christmas music playlist and the Holiday party frenzy! Don't you love having an excuse to purchase a new dress? I certainly do! And thanks to Piperlime's amazing sale section (who doesn't love a good sale? ), I found the perfect dress! The dress was delivered in the midst of a freezing Chicago snow fall, so I was hoping to capture this look with a blanket of snow on the ground. But alas, the snow melted and rain clouds rolled in with 45 degree weather. 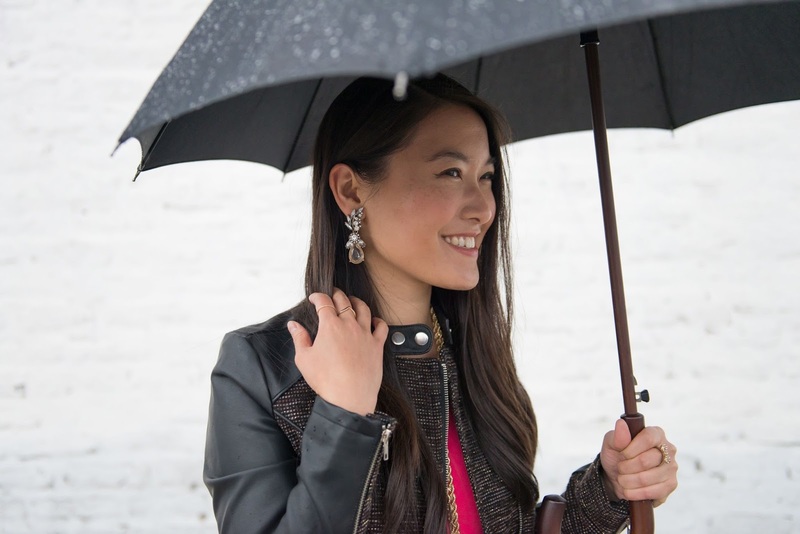 Get these gorgeous earrings - and everything else like the necklace below at Benevolent Jewels - for 20% off with special discount code "JHCODE20"!! Don't forget to enter the Marc Jacobs $300 Giveaway!! You can enter daily for extra chances to win! Giveaway is open Worldwide. Also, if you need a great gift idea for a special girl or guy, I highly suggest purchasing a watch from Daniel Wellington! I love my watch and it's so versatile! You can purchase any item for 15% OFF with code "holiday_graceinstyle"! And there's FREE WORLDWIDE SHIPPING! What gorgeous photos! Everything about this outfit is so fun! Thank you!! Feel free to look through the jacket options I chose at the end of the post! That pink dress is so adorable! Super cute! Love the detailing on your jacket! 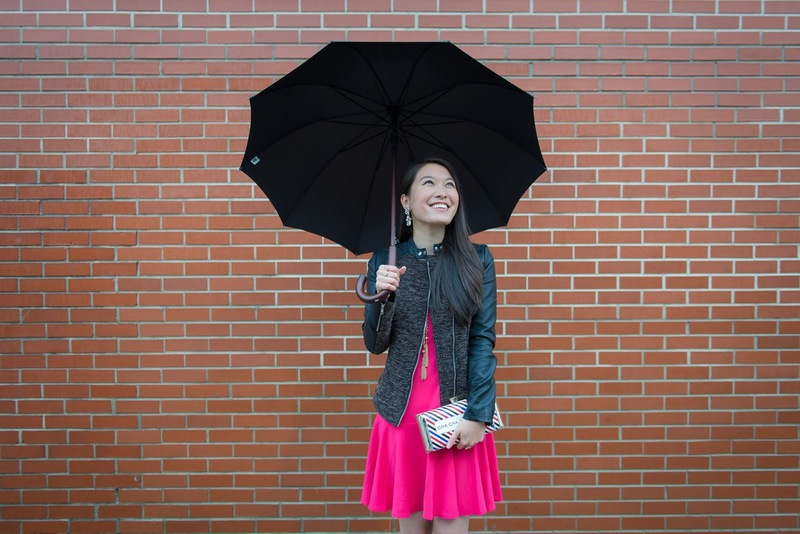 It is super fun and not too edgy of a leather jacket which I love :) Thanks for stopping by! Your comments are always so sweet! Fuchsia suits you really well. What a lovely piece! Wow, you looks gorgeous, amd so happy too! Hehe.. Love that clutch. Amazing dress! 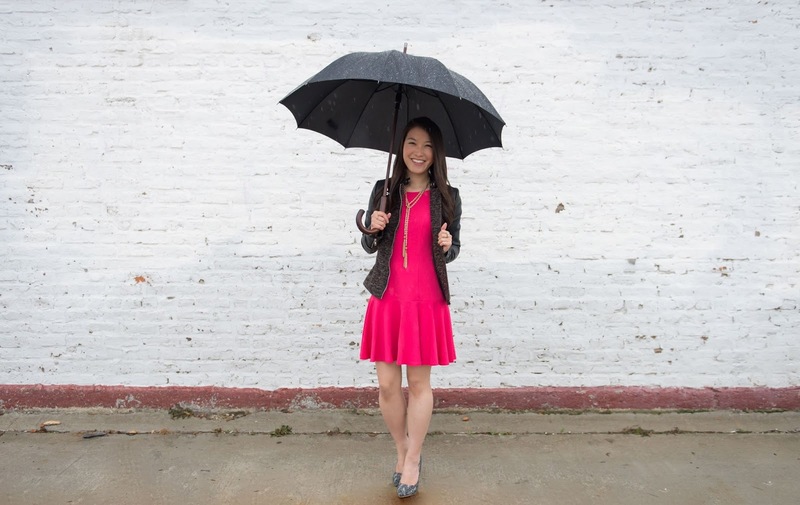 the pink is so bright and fun for a rainy day! GREAT look! Yes! Gotta dress to brighten the mood :) Thanks for stopping by Tatiana! 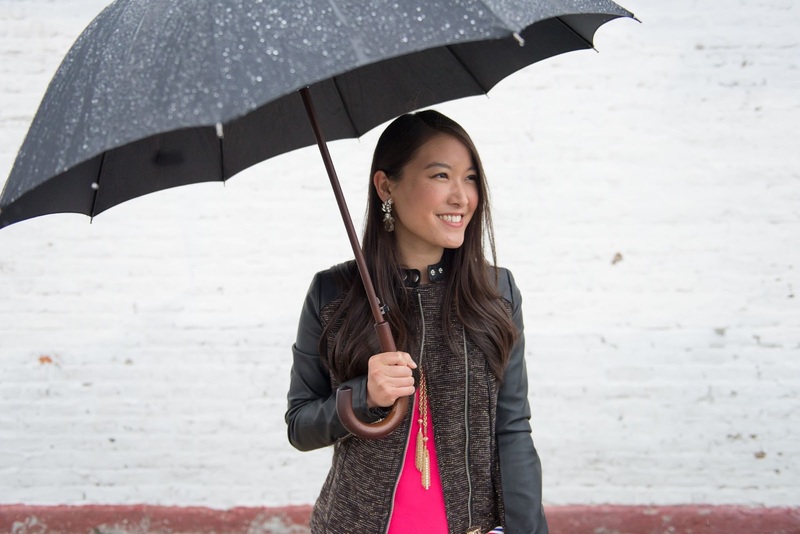 Love these bright fun colors for a holiday party!! That clutch is everything babe!! Thanks hun! 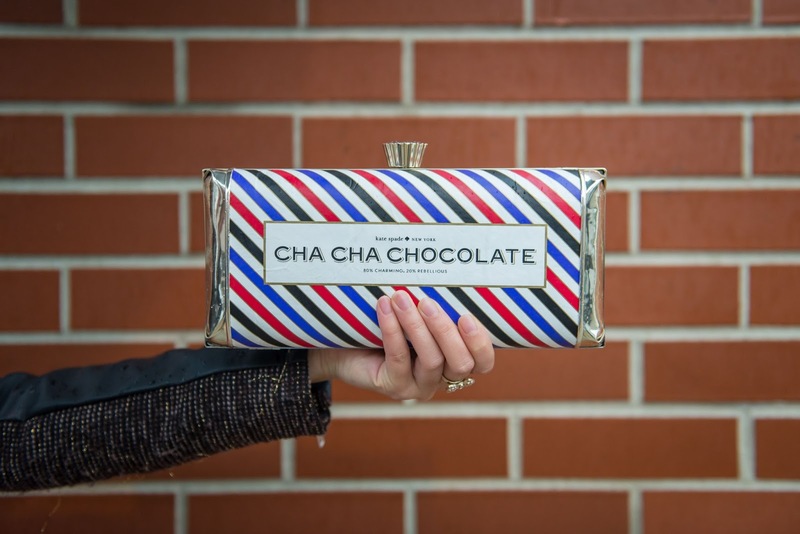 I'm kind of obsessed with the clutch since chocolate is one of my favorite things in life haha! The color of your dress is so pretty, and your accessories are just gorgeous. =) Perfect holiday look! Thanks so much Amber!! :) I hope you have a wonderful week as well! I am constantly making up excuses to buy cute dresses! I couldn't agree more that the holidays are the best excuse! Love this dress and especially the color. Haha! I'm so glad you're with me on that! Thanks so much for the sweet comment! 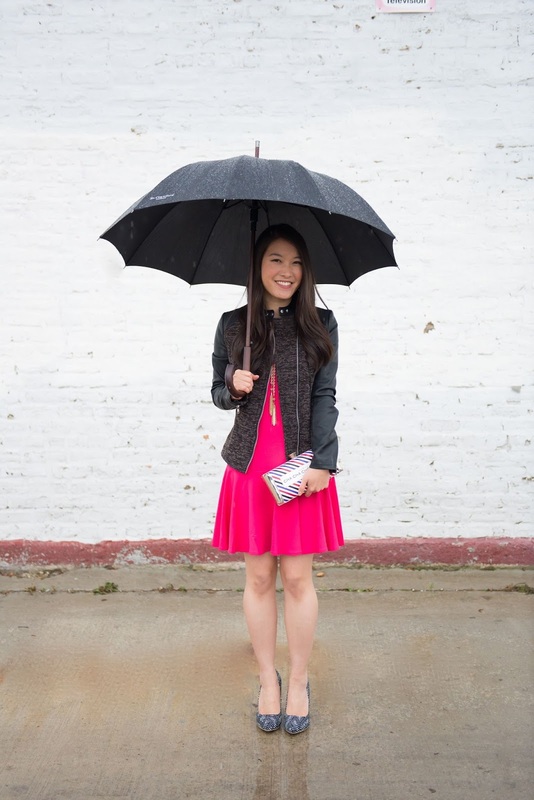 Such a pretty look, perfect for a holiday party and love the pop of pink!! That dress is so pretty! I love your necklace! Considering it's raining your photos looks so bright and alive! Whenever I take photos in the rain they look so dull and lifeless! Your dress is a beautiful colour and I love how you've styled it. Perfect holiday outfit...love the shoes and that fun clutch! Hope to see you for TBT Fashion link up & enter for chance to win a blanket scarf & an amazing mascara. Cute look! Love the flirty dress with the cool moto jacket! Love that jacket!! 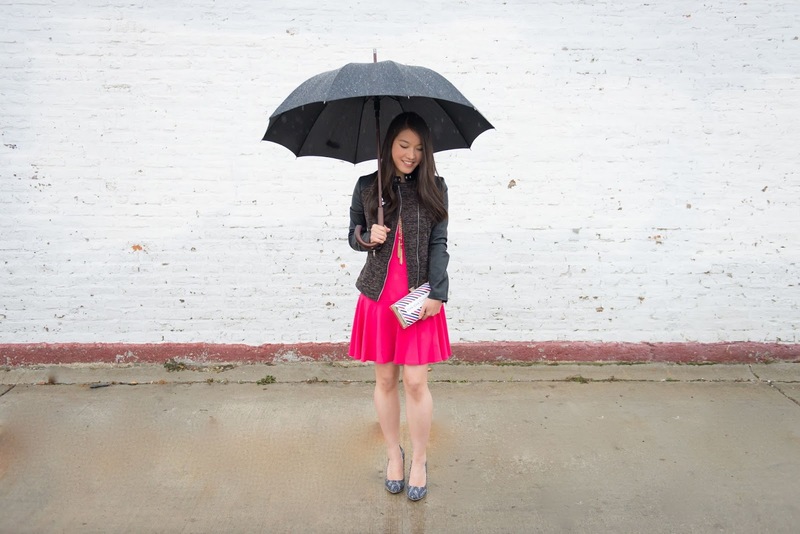 That Kate Spade clutch is amazing so much fun! You look absolutely gorgeous in this post! It was such a pleasure finally meeting you last night -- I love a girl with a whole collection of Kate Spade clutches! What attractive dress! I would love to get this one for the approaching destination holiday party. You know I just love giving separates a try for holiday festivities. The style is so flattering and the color is simply wonderful. Thanks for this post!